Since 1980, POM has been providing swimming pool services – openings, closings, weekly service, leak detection, upgrades, repairs, pool inspections, homeowner trainings, and more. You can benefit from our experience and knowledge today! 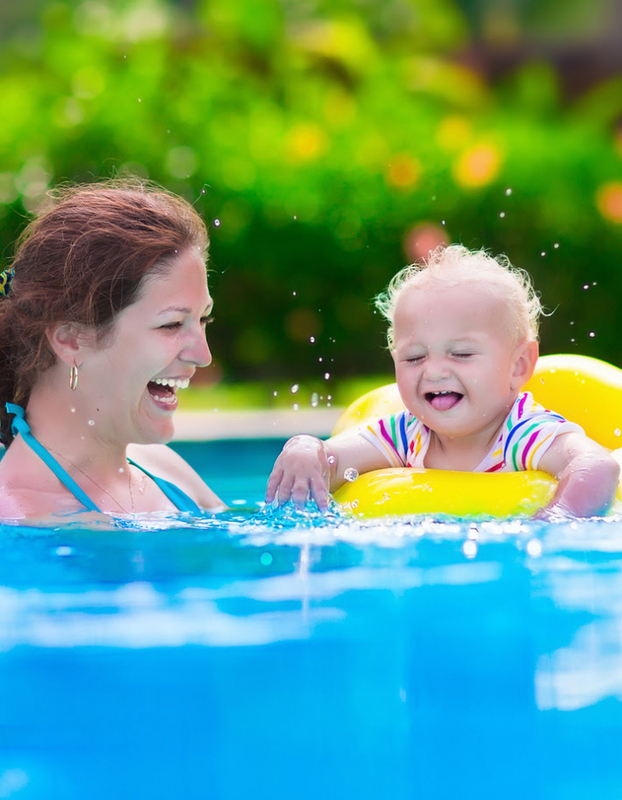 You can learn from award winning experts about pool safety and management. The CPO® certification class is a great start to becoming a pool expert. Find out how you can register today! Pool Operation Management (POM) directs our talents towards consulting, training/educating and management for clients with commercial and residential pools. As a company that trains others how to manage their pools, we offer vast experience, knowledge and service to our commercial and residential clients as well. We believe in preventative maintenance to reduce long term expenses, increasing the efficiency of pool systems and preventing accidents. Get a Jump on Compliance! Register today with Pool Operation Management for the National Swimming Pool Foundation® CertifiedPool/Spa Operator® Certification Course. This course is required by New Jersey, New York, Massachusetts, Maine, Florida, Georgia and many other state and county bathing codes. We believe in preventative maintenance to reduce long term expenses, increase the efficiency of your system and prevent accidents. Our training staff delivers programs that are simple to understand and practical. They are qualified to teach federal, state and local requirements for a Certified Pool/Spa Operator, and knowledge in a variety of pool topics. We teach you everything you need to know to pass the exam and become a successful, knowledgeable CPO® Certified technician. We manage commercial facilities by providing supervision, training, service, certified pool operators, and chemicals and supplies. We provide openings, closings, maintenance, inspections, training and manuals, service work and chemicals and products. I want to say thanks for doing an incredible job as a teacher for the recent class. You were so awesome that even I, with a 95% hearing loss, could hear you and understand you. I was so nervous because of my hearing loss. Because you were such a good teacher, I passed and I loved every minute of it and i want more. I learned so much, thanks to you. I was able to maintain and clean my hotel pool, but now i understand on whole another level and love it. Aloha! Wanted to say thanks for a great class, you were one of the best instructors I have ever had, hands down! I will refer friends and pool companies I come in contact with over to your course, I think they could definitely use some classroom training. Trevor was 'real world', funny and kept the class lively while providing a lot of info! Quality, informative class that has given me new perspective for needed reform for more effective future practice. Class was well developed going hand in hand with the book. The instructor was thorough and very helpful making complex theories seem easy. Instructor's knowledge base is in depth. Thank you very much. I also wanted to say that I thought the class/information was very well presented. I was given the job of CPO and know nothing about caring for a pool other than how to swim in it! There was a lot of information presented during the class but now I can look through the data and use what I need to operate our pool. Trevor was an excellent instructor! Please express my thanks to Trevor for a worthwhile class. His presentation and class management skills are excellent. As a person who never owned or worked on a pool I found the course most informative and helpful. An excellent foundation. As with any course, the instructor can make or break it. As in the past, Pool Operation Management made the course. Trevor is awesome. He's always able to answer any questions with ease and gives great ideas from his experience. Great class, very knowledgeable, I liked the fact that he spoke of "hands-on" experiences in dealing with pools. (Trevor) is very well informed, personable, and likeable. Very clear and concise in his presentation, and willing to help all students in need. Top notch! When you began covering the material I thought wow, I just wasted a lot of money, I will never pass the test! After the first day I absolutely knew I would fail. You covered an incredible amount of material in the 2 days. When I began taking the test I was amazed at the amount of knowledge I retained. I knew then I would do well. Your presentation was excellent. I did study the manual for some time, but, you made it happen. The review sheet asked if I met my objectives. I not only met but exceeded my objectives, 100 percent! I may never manage a pool but I certainly have the tools needed to start. The education I got was well worth the money. In closing keep up the good work, you are an excellent instructor.